Pregnancy is one phase in a woman’s life when she is undergoing a lot of bodily changes and needs to make many adjustments in the way she takes care of her. Not only is she responsible for her own health but also the health and well being of the life growing inside her. Although it is not very common but one can suffer from many types of liver problems during pregnancy. It is important to know what these problems are so that you can deal with them in the best and quickest way possible. The following is a list of the various liver problems that can occur during pregnancy. AFLP or Acute fatty liver of pregnancy is a medical condition of the liver which occurs at the time of pregnancy. It usually occurs during the third trimester and is very rare. This is a serious condition which can even cause the failure of the liver and encephalopathy. If it is not diagnosed soon, it can result in the death of both the mother and the fetus. Some of the common symptoms of this disease include nausea, fatigue, pain in the abdominal area and vomiting. As the condition moves ahead, it can also lead to jaundice and only by urgent delivery can the liver damage be reversed. When the liver becomes incapable of excreting bile, then the condition which is caused is known as cholestasis. Due to the bile salts that get stored in the skin, an intense itching can be caused in the later stages of pregnancy in case of cholestasis of pregnancy. In this case, the normal bile flow is affected by the hormones which are in high amounts during pregnancy. This is the reason why this liver problem is more common during the last stages of pregnancy when the hormones reach their peak. The condition goes away after child birth and is very rare. 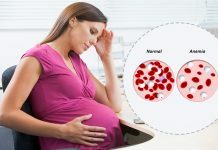 HELLP or hemolysis, elevated liver tests, low platelets is a syndrome in which the liver enzymes get elevated, the platelet counts goes down and anemia is caused during pregnancy. The causes of this condition are still unknown but it is one liver related problem which occurs in 4-20% of females. 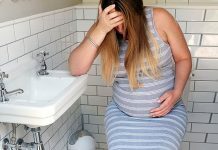 Besides the above given problems, pregnant women may also suffer from a number of other liver related issues like viral infections such as Acute Hepatitis A, B, E and C. Only Hepatitis B and C out of these 4 infections can result in serious chronic conditions and thus could be pre-existing. However, Hepatitis E and A cannot lead to any chronic problem. It is important to know that there are vaccines meant to treat Hepatitis A and B but they cannot be given during pregnancy and hence one must be very careful and avoid suffering from these conditions that are mostly caused due to contaminated foods and water.